Milo is an innovative living space system designed for extreme versatility. It is an invitation to comfort, function and modernity in an ever-changing world where we relax, entertain and perhaps even work. It is a system of soft seating, walnut veneer storage shelves and table tops that create desirable configurations. All elements are interchangeable and can be repositioned as desired. They are all linked and supported by a sleek powder-coated metal frame with a plinth base. 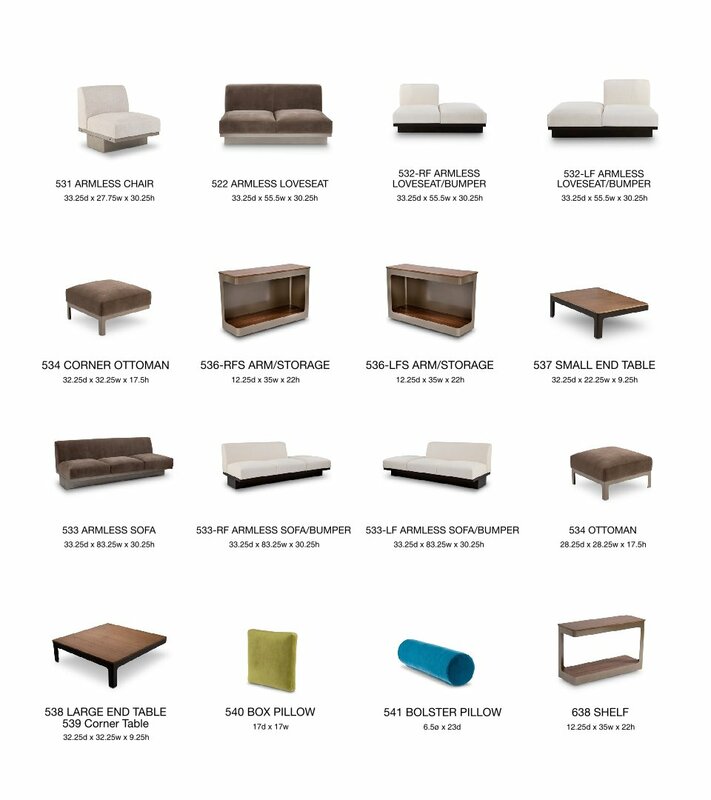 Elite offers a mix of fabrics and leather coverings with over 100 colors to choose from. This lets you personalize Milo according to your environment. Our craftsmen tailor these European styled pieces using the slip-on upholstery method. This creates the cleanest, most tailored lines possible. The covers are designed with precision and are sewn as a one-piece tailor made suit that ensures an impeccable fit.